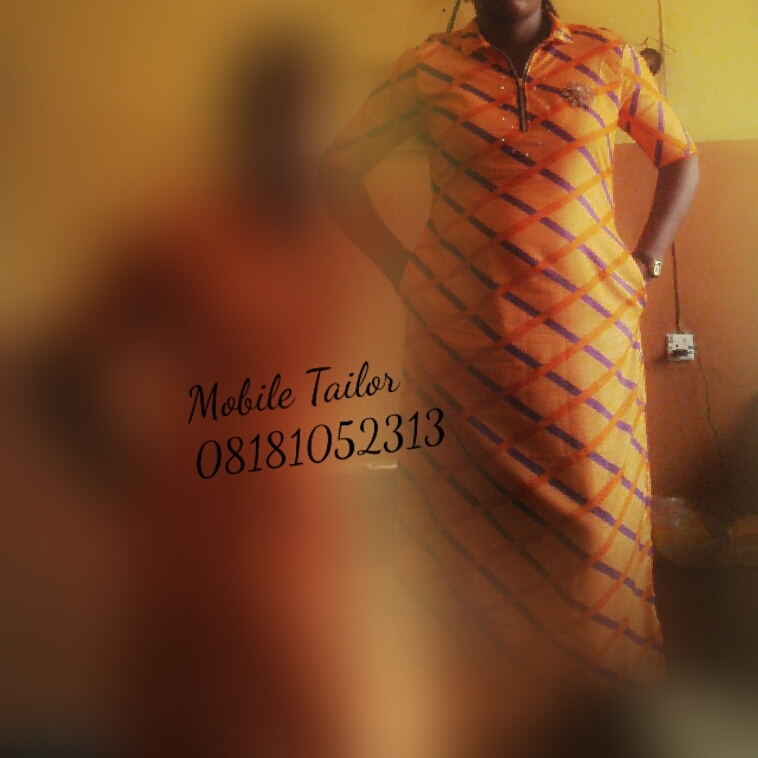 And I’m going to give this style a name  I’m calling it THE OFFICIAL CAFTAN. IT’S a CAFTAN with a collar. .. It also has off shoulder sleeves and side pockets! And to glam it up, I added stones! Shinny glittering stones around d front zipper and on the collar too. .. Simple easy to wear yet trendy. Before I forget. 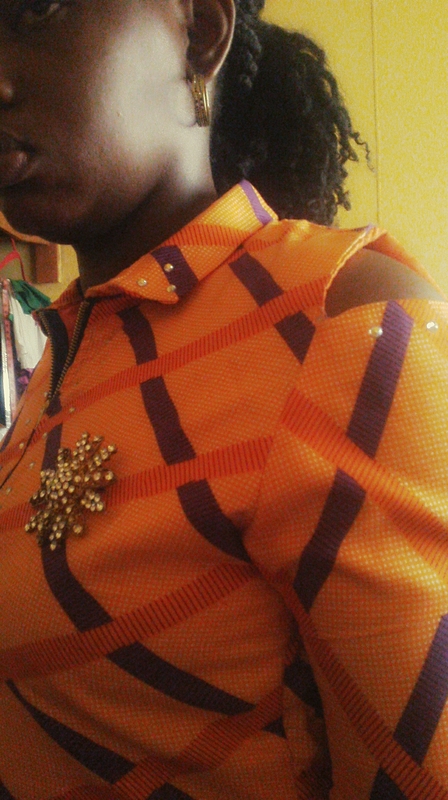 … Fabric is ankara of course!